As a speaker, trainer, global thought leader, and business owner since 1987, Carole Copeland Thomas moderates the discussions of key issues affecting our global marketplace. Since 1987 Carole has had her pulse on the issues affecting working professionals and consults with industry leaders on a regular basis. From speaking at the Federal Highway Administration, SHRM, Hewlett Packard, Verizon, Cargill, and Monster.com to interviewing experts around the globe, Carole knows how to analyze the dynamics of a changing marketplace. Carole is a life member of the National Black MBA Association, the Past President of the Boston Chapter, Past National Vice Chair, and a co-founder of the Leaders of Tomorrow Program. Carole served as an adjunct faculty member for Bentley University for a decade, and has spoken throughout the United States, London, England, Canada, El Salvador, Australia, South Africa, and Kenya. She recently co-founded a non-profit international organization with nine other women as a result of a 2005 trip to Kenya. The group returned to Kenya in November 2007 for humanitarian projects and to host their first International Conference in Mombasa, Kenya. Carole is the founder of the Multicultural Symposium Series, a multiyear conference and online initiative developed for the advancement of multicultural issues. Carole is a blogger and social media enthusiast using various technology platforms to enhance her business development activities. and were sponsored by Marshalls the nationwide off-price retail store. Her radio talk show continued on WBNW-1120-AM-Boston through 2009. Carole served as the Executive Coach for the Essence Magazine Leadership Summit. 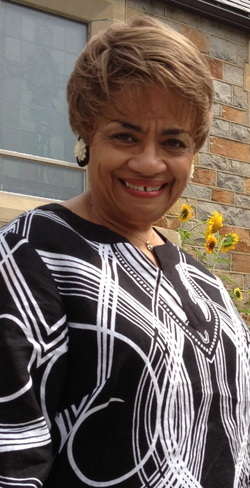 Carole, a three-time state convention delegate, served as a town coordinator in the November 2006 successful election of Deval Patrick, Massachusetts’ first African American governor. She also served as an active tri-state volunteer for the 2008 campaign of President Barack Obama. 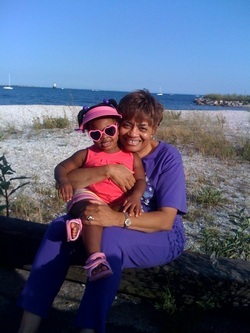 Carole is the Tri State Social Action Coordinator for Delta Sigma Theta Sorority and the Chair of the Multicultural Committee for the Greater Boston Convention and Visitors Bureau. Carole graduated with honors in 1975 from Emory University. She entered graduate school in 1983 (on a Martin Luther King, Jr. academic fellowship), and received her MBA degree from Northeastern University in Boston. Carole is the mother of three children: Dr. Lorna Thomas Farquharson (husband Jerome), Michelle Thomas-Monteiro (husband Alberto), and the late Mickarl D. Thomas, Jr. She does her best to spoil her granddaughters, Julianna Gwendolyn Farquharson and Gabrielle Jaeda Farquahrson.